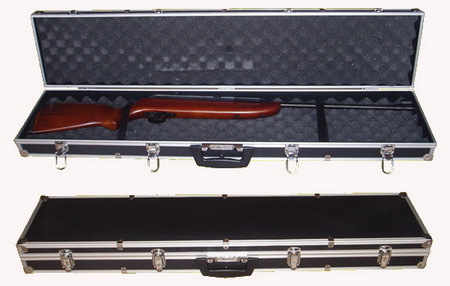 Strong aluminium rifle case made of diamond aluminium which resists scratched .The case is cool . There are four locks with key for security .Strong and comfortable handle for easy carrying. Inside the case are corrugation foams on the lid and bottom to protect the rifle and bullets and the accessories .